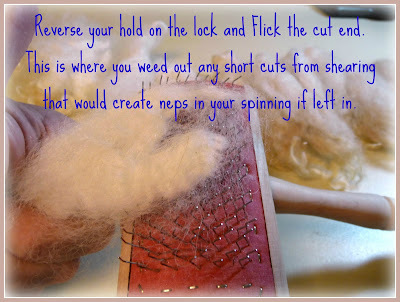 Spinster Beth said..."Would you mind sharing a brief description of how you prep and spin alpaca? 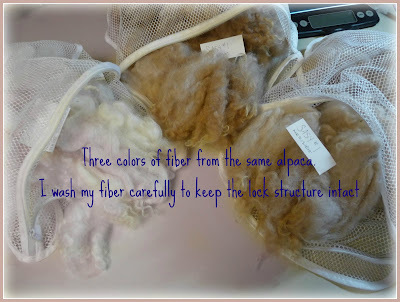 I have three big zip bags full of alpaca, and I know how to wash it ... but it is giving me the dickens carding and spinning. 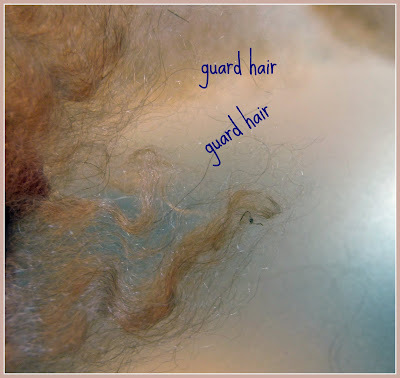 Is there a secret to it?" Well, I don't know that there is a secret, but this is how I prepare my alpaca for spinning, I hope you find it helpful! 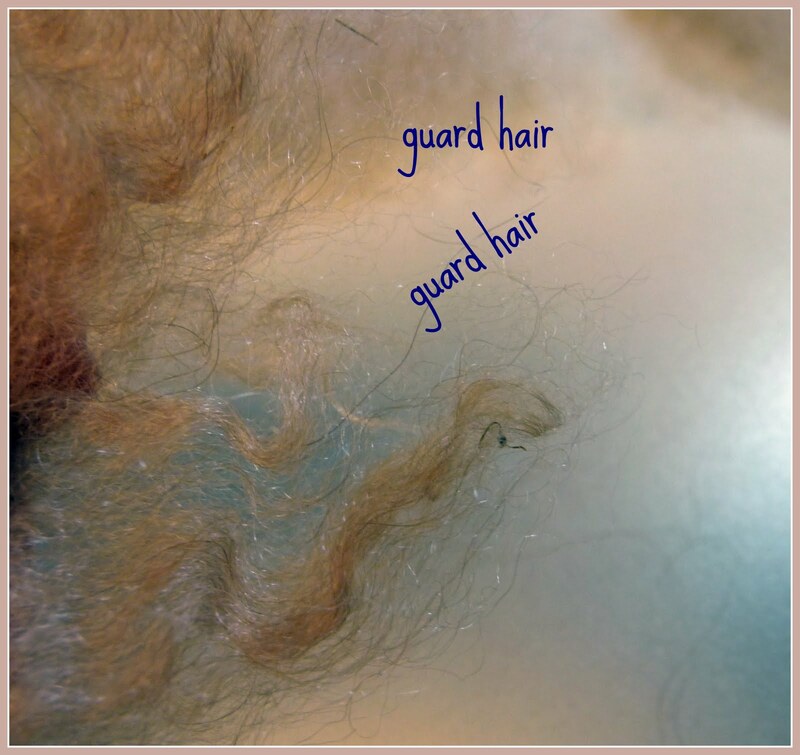 Often times alpaca has guard hair, depending on how coarse or fine it is, you'll probably want to remove it if you can see/feel it. 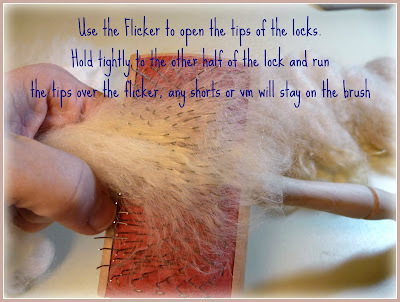 At this point, I quite often just spin right from the lock, my preference is drafting from the tip end. 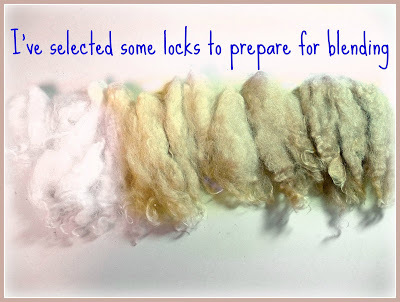 Or I can take the locks from this stage and blend them with other fiber (more alpaca, or wool, silk, angora...) on my drum carder or hand carders. 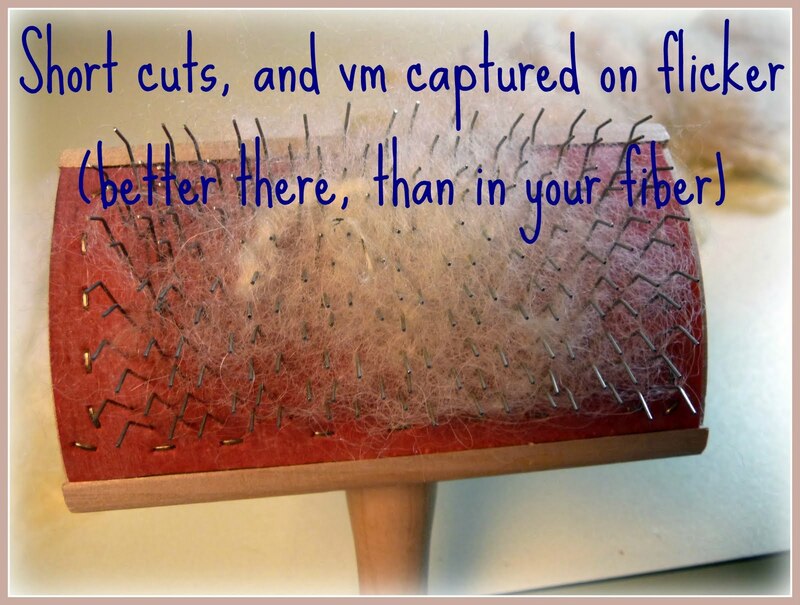 Alpaca can get a little bit fly away, so I keep an atomizer with water handy and all it takes is a fine mist to settle things back down. 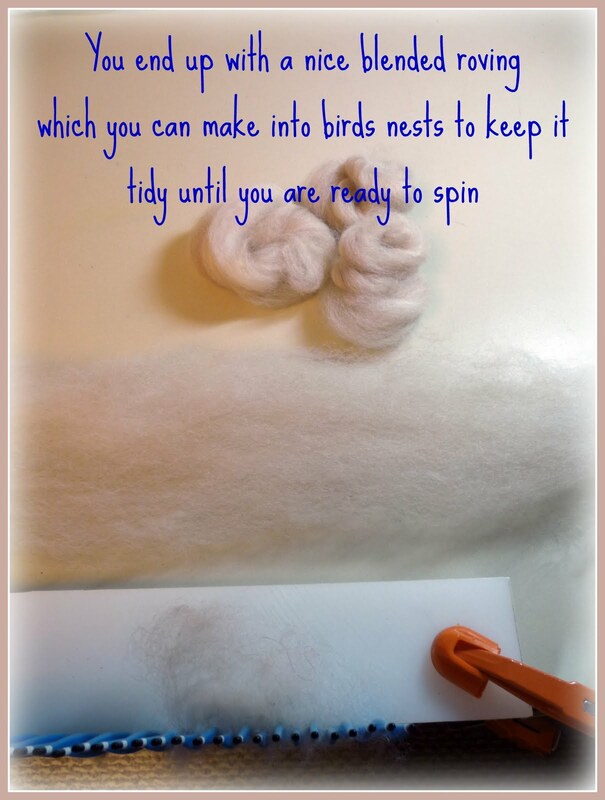 I have also discovered that if I let it rest on my drum carder for a couple of hours it gives the fibers time to settle into a nice cohesive batt. I also let it rest like this if if I am going to pull a roving off my drum carder, it makes a world of difference. If you don't mind mixing your fibers, just adding the smallest amount wool makes the alpaca behave so much better, it's amazing! 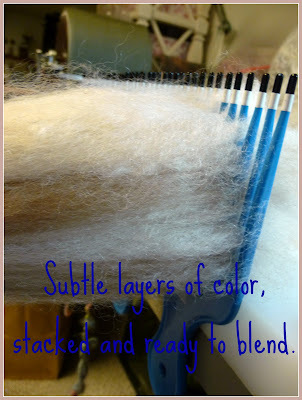 I like to lay out a layer of alpaca, with a little "dusting" of wool and feed it onto the drum carder. Not only does it help with controlling the alpaca, it's also a very complementary spinning/knitting blend. 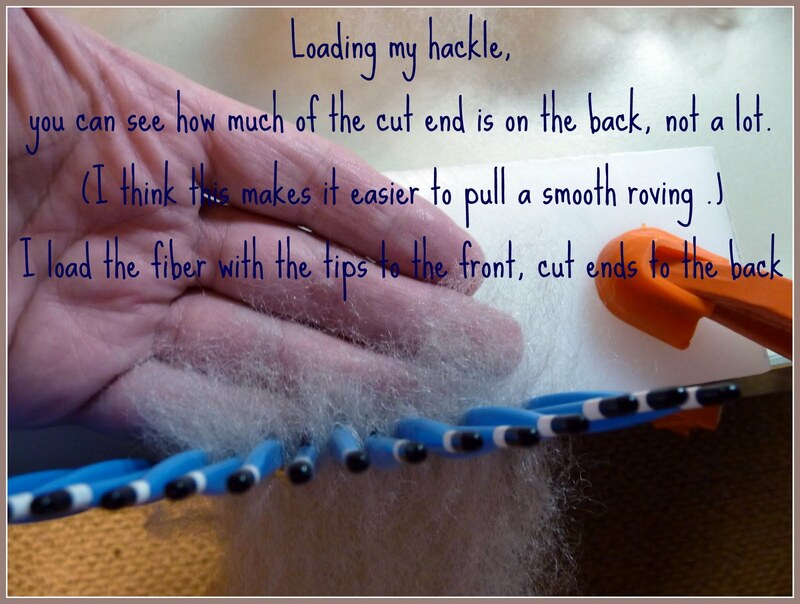 The following describes blending fiber using a homemade hackle. 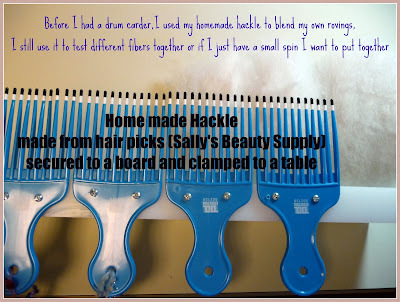 Before I decided on the Pat Green Big Bat Carder, when I was doing research on drum carders, I stumbled on a tutorial for making and using a homemade hackle. 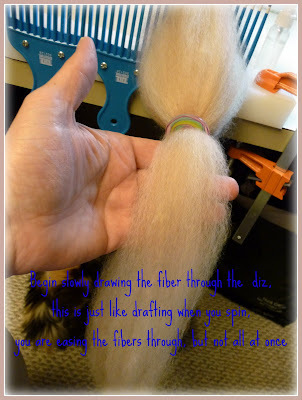 It's a great, easy to make and use, tool for fiber blending. If you are interest in more information on this tool, a search on youtube will provide you with lots of information. 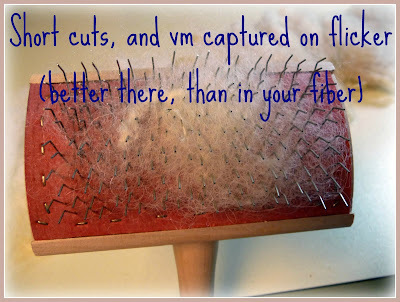 Goodness, I've used more than my fair share of pictures in this post! 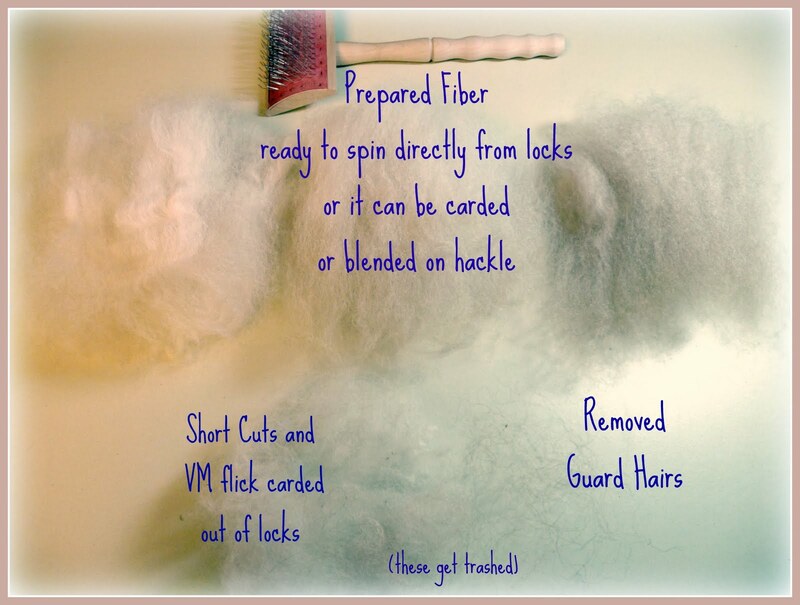 I hope you have found something useful to take away and apply to your fiber prep techniques. Thank you! I might blend in a little wool, as you suggested. The alpaca is gorgeous, but so hard to handle! Thanks for all the pictures, and the step-by-step. It answered a lot of questions. Great job Melissa. 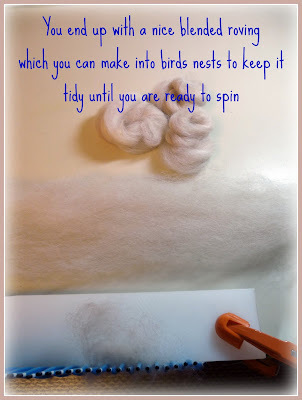 Very good instructions all the way through. 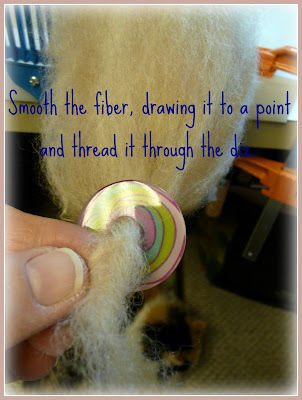 I myself prefer to spin Alpaca in the raw and find it makes a fluffier softer yarn. 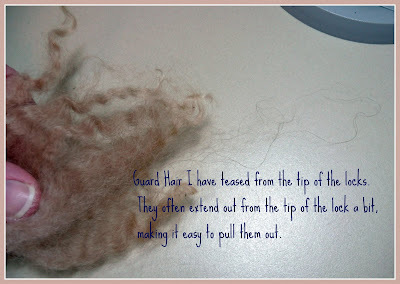 I also like your letting it rest on the carder as we do on the bobbins. Makes complete sense. 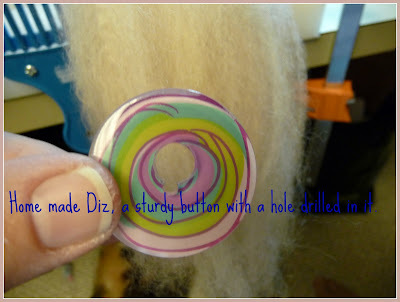 Juicy Art Yarn Spinning, Fun, Fun!